The G Plan Diet is ideal for those seeking to redress the festive excess and start the year as they mean to go on. The latest research in nutrition suggests that if you want to lose weight for good, you need a healthy gut with a diversity of good bacteria. Beginning with a digestive 'rest' and including the 10 best gut healthy foods, the 21 day plan will help you say goodbye to bloating and discomfort, lose even stubborn weight and look forward to increased energy, clear skin and improved mood. 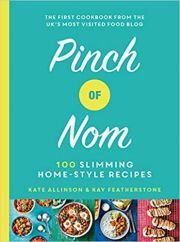 Over 40 recipes are included that are quick and easy to prepare, and success stories are featured throughout.